Large Homes & Estates Window Cleaning - Sparkle Window Cleaning Inc.
Sparkle Window Cleaning Inc. is a family owned and & operated business. 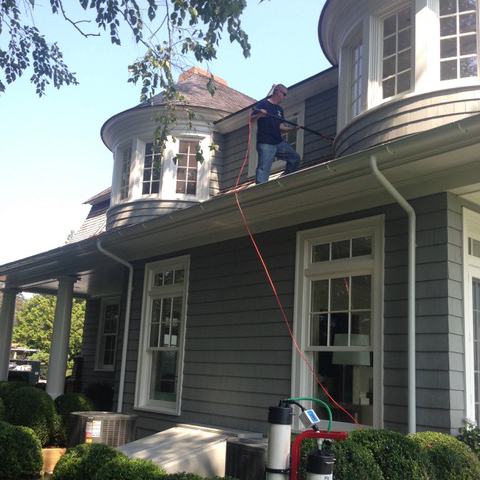 For over 25 years John & Thomas Lynch has been providing the finest window cleaning services on Long Island. Our Team specializes in caring to meet the unique challenges that Large and estate homes often present. Sparkle Window Cleaning has a large client base highly satisfied clientele. Thoughtful consideration and attention to detail goes into every aspect of the window cleaning services we provide. We can confidently declare ourselves as long Islands premier large home and estate window cleaning specialists. Our meticulous and discreet care for your home has been the foundation of our success and is truly vital when working in a well appointed home. Contact us today and experience the Sparkle Window Cleaning difference. If you have a home or estate that is much larger than the average home, even the typical two-story home, you likely need help keeping the windows clean and sparkling. At Sparkle Window Cleaning, we can handle every job, no matter how large or small it may be. We understand how important it is to clean all the windows in a home, even if they are difficult to reach. The good news is we have the tools to take care of all of them so you don’t have to worry about how to do it safely. It isn’t always safe to climb a ladder and wash some of the windows on your home, especially if you have a larger home or estate. This means you are likely to skip out on washing certain windows, which can have a negative impact on the overall impression people get of your home. Whether you are trying to complete some spring cleaning or you want to sell the home, you will need to make the best possible impression. Our professionals are fully trained and experienced in handling these tasks safely and efficiently. When it comes to large homes or estates, windows can make or break the overall look of the home. This means you need to pay close attention to making sure they are clean and sparkling at all times. With our professional help, you can achieve the overall look you want without creating more work for yourself.